1. Just received a text from highly-respected Malaya columnist and political commentator Lito Banayo that Chizwiz's coming out party will be on Monday, Oct. 12, 5:30 pm at the Club Filipino. Ay kawawa naman si Loren! Foiled again ang dreams of superstardom. (Update 10/11/09:The scheduled announcement of Chizwiz's presidential run at Club Filipino tom. Monday, is definitely postponed, accdg. to his people. There is no date when this will actually happen, as a source in his camp says they want to avoid anything "political" in the meantime that most of Luzon is still suffering from Ondoy and Pepeng's onslaught. So I'm not quite sure what Chizwiz has up his sleeve tom. at the Senate where he is supposed to hold a press conference at 1 pm. 2. Two days after Chizwiz's coming out party will be Erap Estrada's and Jobama Binay's. My source has yet to tell me where the venue of the announcement will be. Hopefully it will not be in Club Filipino again, no offense to Club management. Kaso gasgas na kasi yan. And we all know that Club will always and forever be associated w/ Tita Cory. But I feel a bit sad for Jobama for hitching his cart to Erap's star. Jobama could have done better. I mean, he could've run for senator instead of getting entangled w/ someone like Erap. 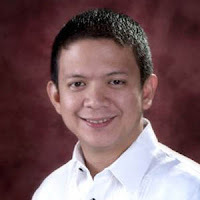 He was such a huge success in whipping Makati into shape, so why destroy his reputation by teaming up w/ well, an ex-con? 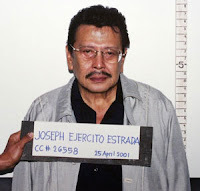 Pardon or no pardon, Erap was still found guilty of plunder. Sayang. Well, accdg. to my source, 'no choice' daw. 3. P300 million! That is the amount that is said to have been agreed on between a Presidentiable and his Vice Presidential running mate. Plus all campaign expenses paid ob chors! So even if VP-to-be loses in terms of votes in 2010, does he care? Of all the VP candidates, he will still, in the end, be the real winner. Retirement hasn't looked this great ey? Congratulations in advance to VP-to-be. (Oy, pa-share naman jan!) Da who?! 4. Local/foreign investment managers and bankers got a taste of how life will be if this Presidentiable wins in 2010. He was a no-show at oh-such-an-important gathering of Asia-Pacific delegates this morning and instead, sent his not-too-brilliant relation to speak on his behalf. Ob chors, Brainiac spoke of the 2010 elections instead of the topic assigned to Mr. Presidentiable, which is the state of the industry from which he hugely profited. Needless to say, most of the conference participants were aghast bec. they aren't Filipino voters anyway so why was Brainiac sounding as if he was campaigning for Mr. Presidentiable? Ngek! Da who?!?! (UPDATE) According to my sources, Mr. Presidentiable really has this habit of confirming appointments and events, and then suddenly just not showing up. 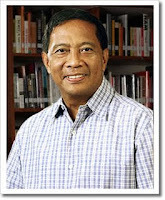 One pundit calls him 'iwas-pusoy', bec. he has a lot of things to hide. Well, maybe Filipino voters will be a no-show for him as well. Hah. 5. Btw, this same Mr. Presidentiable was seen in Shangri-La Edsa Plaza Hotel only a few weeks ago, going out of his way to shake the hands of everyone he came across, much to their surprise. 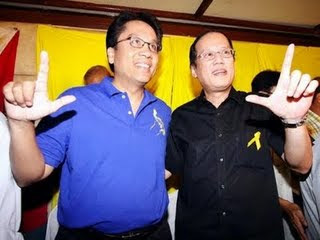 In contrast, we just heard that the Noynoy-Mar tandem is currently in Bacolod City, and no, the two didn't have to go out of their way to press flesh like Mr. Presidentiable above. Instead, it was the crowds which eagerly shook their hands and kissed them. "Dinumog" is how it was described to me. Just like the old Cory days, I'm told. Well, yahoo! 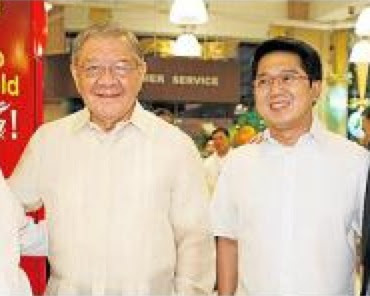 MEANWHILE, this is the third shout out to Quezon City Mayor Sonny Belmonte and Vice Mayor Herbert Bautista. QC residents are upset that to this day, their trash hasn't been picked up by garbage collectors yet. Much of the basura are debris from Typhoon Ondoy w/c passed Metro Manila's way last Sept. 26. What are these two chief executives of QC doing? Twiddling their thumbs while waiting for another typhoon that will no doubt, spread this uncollected debris around and probably cause even larger floods? Not only that, this is a huge health scare! Can you imagine how many diseases are spread bec. of wet, uncollected garbage? This is incompetence at its highest! (UPDATE 7:15 pm, Oct. 9) The trash in our village is finally being shoveled into dump trucks. But the activity is being done at a time when everyone is rushing home. One street was totally closed off, blocked by a truck, causing a kilometric traffic jam along Visayas Ave. I really don't understand why the trash pickup wasn't done this morning, after the rush hour? As usual, Quezon City Hall officials are the masters of competence and efficiency!